Karbonn S1 Titanium Proid is a sleek, slim, compact and light-weight phone that will fascinate you with its designing majesty. 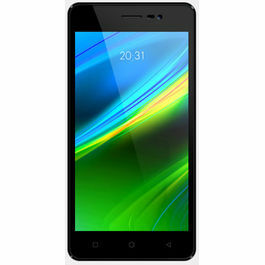 Its excellent picture quality, ease of access, light-weight, and affordable price are some of its positive features. 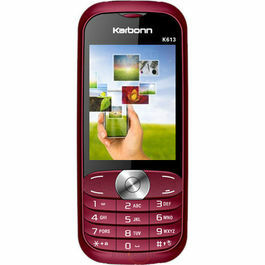 This sturdily built Karbonn mobile features a 4.48-inch Capacitive screen with 540 x 960 pixel resolution. The screen makes typing effortless, as it is facilitated with multi-touch function. This gives you wide viewing angles depending on your perspective, and a high colour definition. 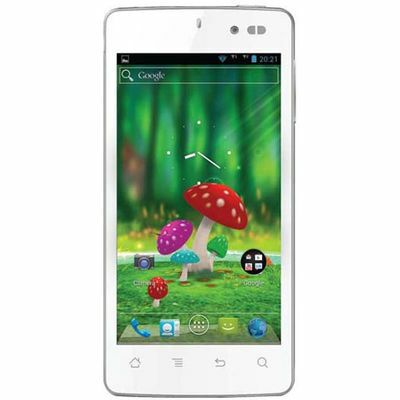 Get a flying start in your life with Karbonn S1 Titanium Proid phone with Google's Android 4.1 Jelly Bean operating System. 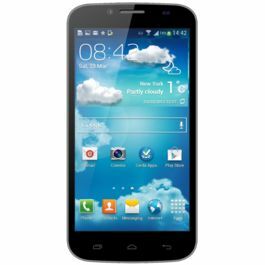 It is also powered by an super-fast 1.2 GHz Quad Core processor making the process flow smoothly and giving you a speedy process at the same time. Get closer to your virtual and stay connected on the go with various connectivity options available on the phone like EDGE, Wi-Fi, GPRS and GPS. Don’t let any reason stop you from being connected to your closed ones. You can also use Bluetooth and USB to transfer files to other devices. Capture moments that you want to cherish all your life. Why just recall them and smile when you can see each of them by capturing them through the 5MP camera fitted in the phone. It also has Auto Focus and LED Flash enabled. Not only this, but the phone also has a digital front camera that allows video chats and allows you to take self portraits. Store all the captured moments, your favourite songs, movies, etc. in the internal memory that has a capacity of 4GB which can further be expanded up to 32 GB. This phone keeps you on for longer hours. 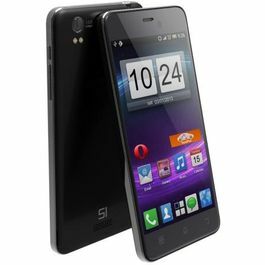 it is supported by a 1600 mAh battery that gives you upto 4 hours of talk time and 200 hours standby time. 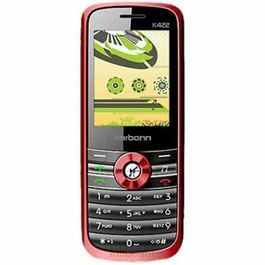 Karbonn S1 Titanium Proid is a sleek, slim, compact and light-weight phone that will fascinate you with its designing majesty. 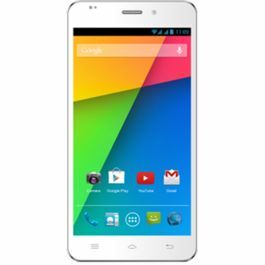 Its excellent picture quality, ease of access, light-weight, and affordable price are some of its positive features. 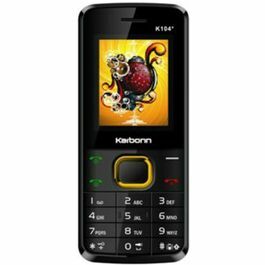 Display This sturdily built Karbonn mobile features a 4.48-inch Capacitive screen with 540 x 960 pixel resolution. The screen makes typing effortless, as it is facilitated with multi-touch function. This gives you wide viewing angles depending on your perspective, and a high colour definition. 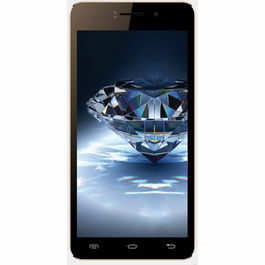 Operating System Get a flying start in your life with Karbonn S1 Titanium Proid phone with Google's Android 4.1 Jelly Bean operating System. It is also powered by an super-fast 1.2 GHz Quad Core processor making the process flow smoothly and giving you a speedy process at the same time. Connectivity Get closer to your virtual and stay connected on the go with various connectivity options available on the phone like EDGE, Wi-Fi, GPRS and GPS. Don’t let any reason stop you from being connected to your closed ones. You can also use Bluetooth and USB to transfer files to other devices. Camera Capture moments that you want to cherish all your life. Why just recall them and smile when you can see each of them by capturing them through the 5MP camera fitted in the phone. It also has Auto Focus and LED Flash enabled. Not only this, but the phone also has a digital front camera that allows video chats and allows you to take self portraits. Memory and Battery Store all the captured moments, your favourite songs, movies, etc. in the internal memory that has a capacity of 4GB which can further be expanded up to 32 GB. This phone keeps you on for longer hours. it is supported by a 1600 mAh battery that gives you upto 4 hours of talk time and 200 hours standby time.